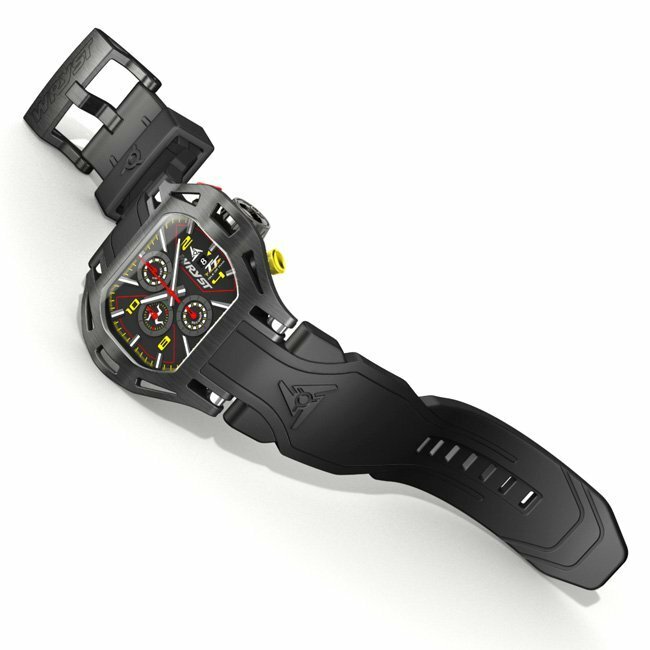 The Black Swiss sport watch WRYST ISLE OF MAN TT Special Edition is a tribute to the fastest motorbike road race championship in the world, the Isle of Man Tourist Trophy. Purchase today this exclusive luxury special edition chronograph timepiece produced in limited quantities. The watch is protected with a black DLC scratch resistant coating on the case, the crown, and the bold square buckle. 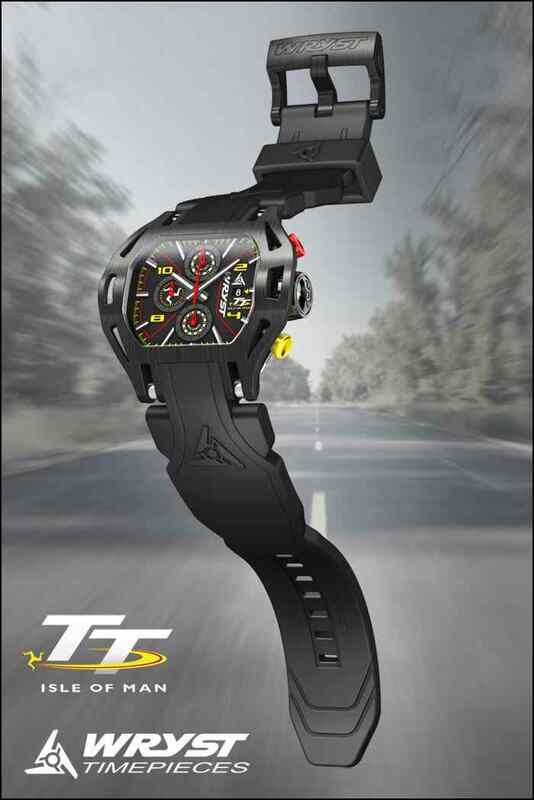 With a high-tech and blacked out bracelet, this is the ideal chronograph for motorcycle riders with style and charisma. The exclusive and unique timepiece benefit of prominent chronograph functions. Red and yellow anodized pushers will time you around the track, with 1/10th second accuracy. 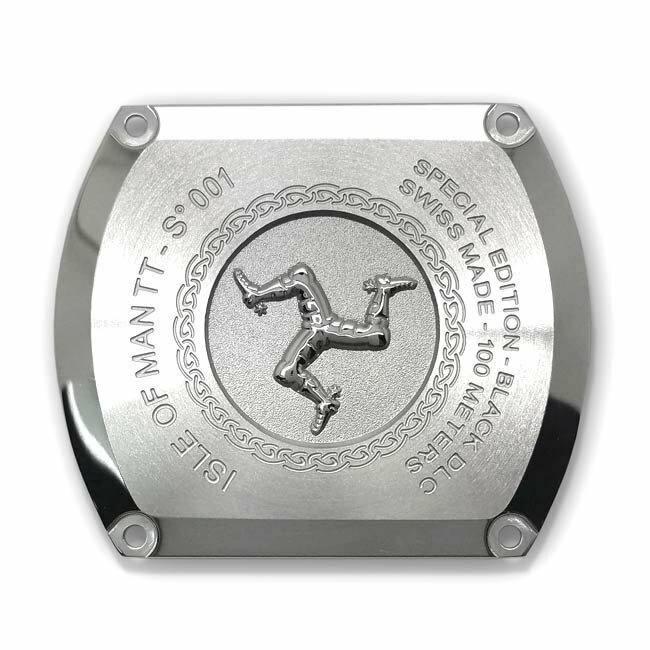 The back of the Isle of Man TT watch is engraved with a circular Celtic artwork and the emblemaric Isle of Man triskelion. Other inscriptions give the serial number and 100 Meters water-resistance. 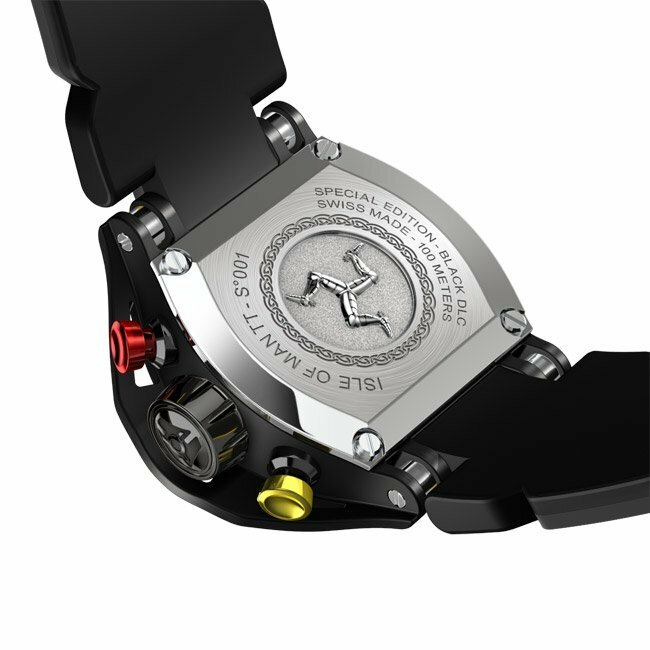 With this Isle of Man TT luxury Swiss watch, Wryst pays tribute to the only worthwile racing event. Since 1907, no motorsport on earth is quite like the Isle of Man TT races. The epic tourist trophy is the fastest and most dangerous road race in the world. Racers can reach average speeds of over 130MPH around the Snaefell Mountain road-racing street circuit. Rider James Hiller claimed the fastest speed ever recorded for a motorcycle on closed roads at the Isle of Man TT after registering over 207MPH. 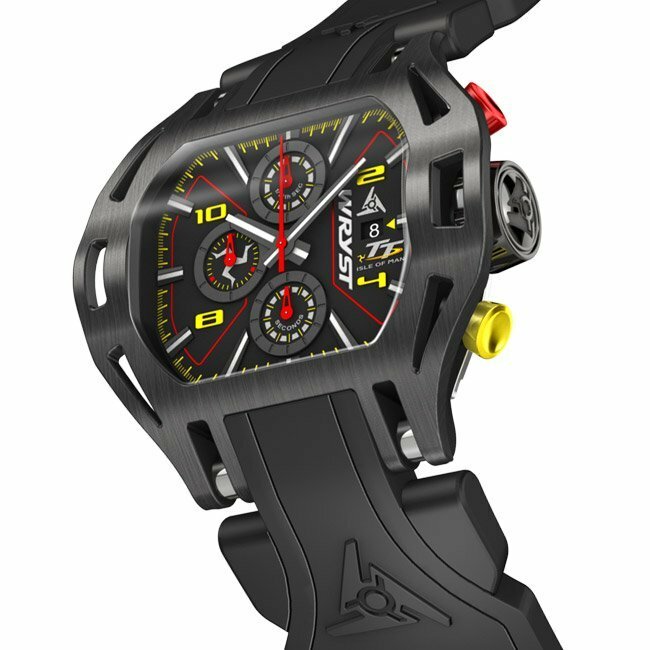 The Wryst TT sport watch has black 'Diamond-Like Carbon' coated case, crown and buckle. Used in F1 race cars engines and aerospace, the DLC technology provides incredible hardness. Wryst Tiepieces are some of the world's most scratch-resistant black motorsport watches. The 2mm thick sapphire crystal is coated with anti-reflective coating.